Say hello to the postman, Mr Snail! He loves to deliver snail mail to the creatures who live in the garden. (Look out for snail trails.) But how will he find all the houses he needs to visit? It’s easy! He just needs to count! 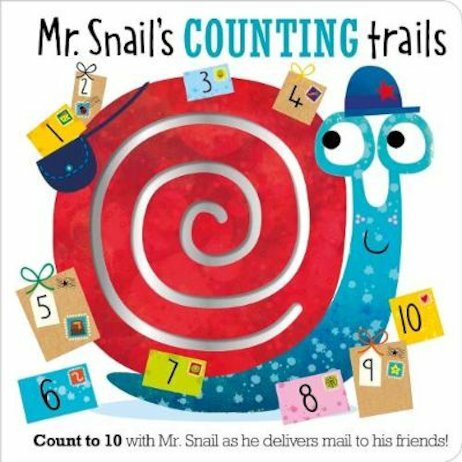 Join Mr Snail as he visits the critters who live at numbers 1-10. Follow the finger-trail paths that take you to their houses! Recite the rhymes as you go, and when you reach the house at the end of each trail, lift a flap to find out who lives there. How much fun in one book?